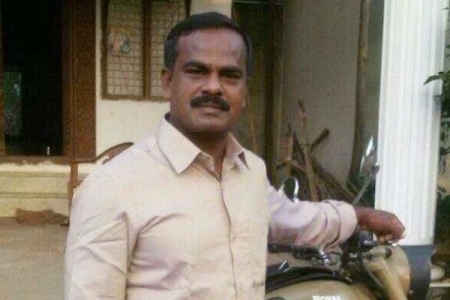 Five members who allegedly support Popular Front of India (PFI), a Muslim outfit, were arrested for the murder of a PMK functionary Ramalingam, who was allegedly murdered for opposing conversion in Thirubhuvanam area. The arrested include Mohammad Azaruddin, Mohamma Riaz, Nizam Ali, Sarbuddin and Mohammad Riaz. Speaking to reporters, Thanjavur Superintendent of Police said that three special teams have been formed to nab other suspects in the murder. He further said that investigations were on and that the assailants would soon be nabbed. Even as tension gripped the area following the murder of Ramalingam, police personnel were deployed in huge numbers. A video of Ramalingam arguing with Muslims, who tried to convert people, went viral on the social media. Police have registered a case under Indian Penal Code Section 302 (Punishment for murder), based on a complaint filed by Ramalingam's son. Pattali Makkal Katchi founder Ramadoss has condemned the murder and sought strict action against the assailants. "No one with a conscience will accept the heinous murder of someone who opposed religious conversion. Such acts are against humanity. Such acts, ruining religious co-existence and stoking communal violence should not be permitted," he said. Meanwhile, Hindu outfits organised protests demanding speedy action by the police in connection with Ramalingam's murder.